Cape May Resort.com has teamed up with Expedia offering direct online booking of Cape May County including Cape May, Wildwood, Cape May Courthouse, Ocean City, Avalon, Somers Point, Lewes Delaware, Philadelphia and all surrounding New Jersey Shore areas. It’s easy to go online, search for your Cape May Hotel, Bed and Breakfast, Luxury Resort and Plan your trip to the Jersey Shore with low prices guaranteed. The best part about our new Cape May Hotel and Lodging Booking system is that your prices are guaranteed, and you can read real time review of the Cape May New Jersey property before you book. So go ahead and find a deal on you New Jersey Vacation. If you are driving to the NJ shore via the Gardens State Parkway or taking the Cape May Lewes Ferry of perhaps a flight into Philadelphia or Atlantic City. You can Buy Airline tickets, read review and reserve your local Cape May Hotel all in spot to take the worries out of your Cape May vacation travel plans. 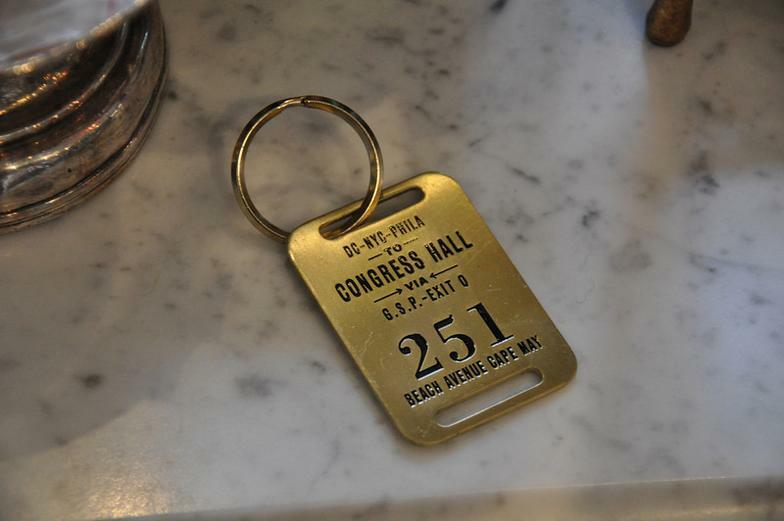 So go ahead and search for the Best Deals from Congress Hall, The Virginia Hotel, The Star Inn, or try the Queen Victorian Bed and Breakfast , The Angel of the Sea, The Caroll Villa Hotel or the Marquis De Lafayette Hotel in Cape May. 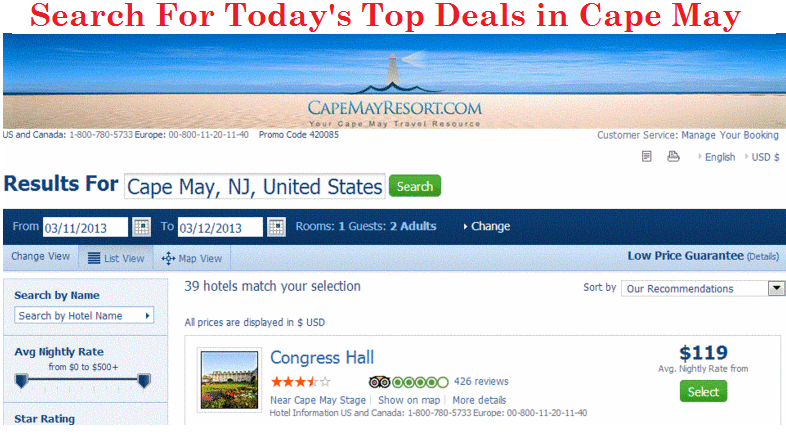 Not only can you manage your price search and booking in Cape May, you can search by exact Cape May Hotel name, Hotel Type or Cape May Location. Are you looking for a specialty property including Beach Front, Family, Pet Friendly or Green Sustainable Cape May accommodations. All Cape May Hotels are now complete with Trip Advisor reviews. So, go ahead and start your Cape May accommodation search today. When booking your stay at the Shore in Cape May, please check our special packages. Why Book your Cape May Resort Stay with Us?